Business & Legal Planning - How to manage your Legal Department's resources? Our “Digital Day One for Lawyers” helps identify key digital projects for your legal department. What does digital mean for law departments? What is the current state of the art? Which projects must be implemented as a priority within your law department? This survey is designed to gather ideas, suggestions, restrictions, obstacles, etc. from in-house lawyers, paralegals or assistants. 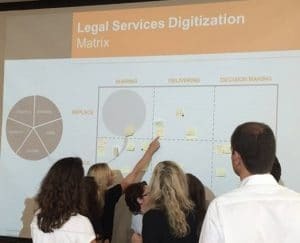 Digital transformation of the legal department: what are we talking about? Starting from € 5,000 excluding VAT.